The world’s greatest museum just got better for the fashion and style conscious. 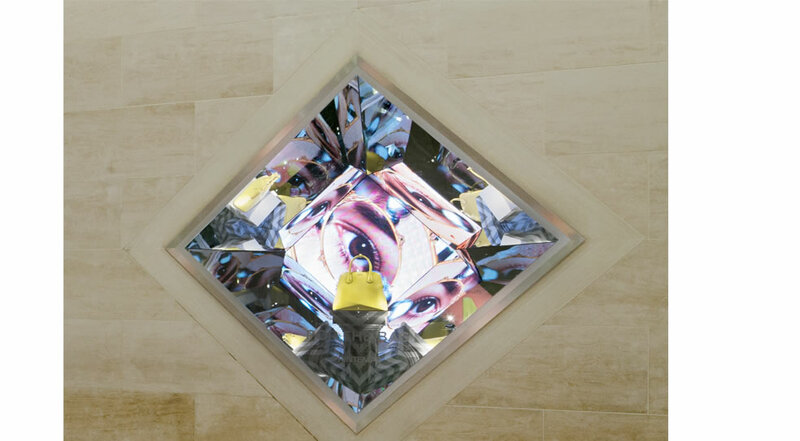 Printemps has opened a 2600 meter store in Carrousel du Louvre merging luxury and beauty brands, leather goods, fragrances, and watchmaking in an exciting shopping experience complete with “Pop the Bang”—an exclusive in store art exhibition featuring works from around the world. From an architectural perspective the Printemps Louvre is a union of heritage, creativity, and elegance from architects Antonio Citterio and Patricia Viel. The shopping space has a color range and quality style that makes it a unique shopping area with harmonious furniture and whole surfaces. The interior reflects the architecture of the Carrousel du Louvre constructed of burgundy stone. The white painted ceiling with its wavy steel polished steel surface reflects images and movement of visitors. A mezzanine overlooks the ground floor gallery. A façade in gold-tinted mirror glass panels adds a sophisticated touch. French artists Arnold Goran created the window displays. Beauty surrounds you from nine boutiques: Crème de la Mer, Dior, Chanel, Lacome, Yves Saint Laurent, Estee Lauder, Sisley, Clarins, and Roger & Gallett. 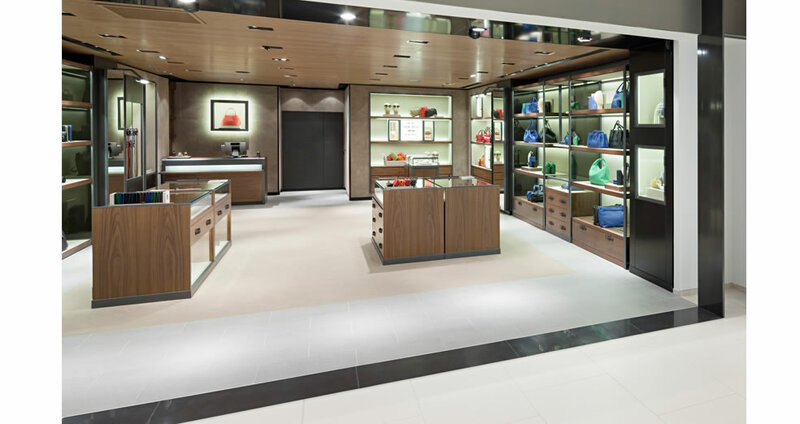 The ground floor also contains leather goods brands Botterga Veneta, Givenchy, Coach, Burberry, Lonchamp, and MCM with “shop in shop” concepts. Additionally, bags from Stella McCartney, Chloe, and Saint Laurent Paris are featured. Opening onto the ground with a more intimate feel, the mezzanine of Printemps Louvre is where to find to watchmakers Girard-Perragaux, Bell&Ross, Hublot, Hermes, Tag Heuer, Longines, Corum, Tissot, and Tudor with in house stores Chopard, Omega, Rolex, Montblanc. A VIP Lounge provides first class customer service.